The first Masters 1000 event of the season came to a dramatic end last week with a remarkable result and potentially the match of the season deciding the title. The first Masters 1000 event of the 2018 season has set an extremely high bar for the other eight events on the schedule, even perhaps the majors. There was drama, there were upsets, there were epics, everything you could want in a tennis tournament. And in the end, it was an overdue champion outduelling a legend in a match for the ages to decide the crown. Here is your ATP Weekly Update for week 11 of the 2018 season. Despite being a major champion, Juan Martin del Potro had never won a Masters 1000 title coming into this week. 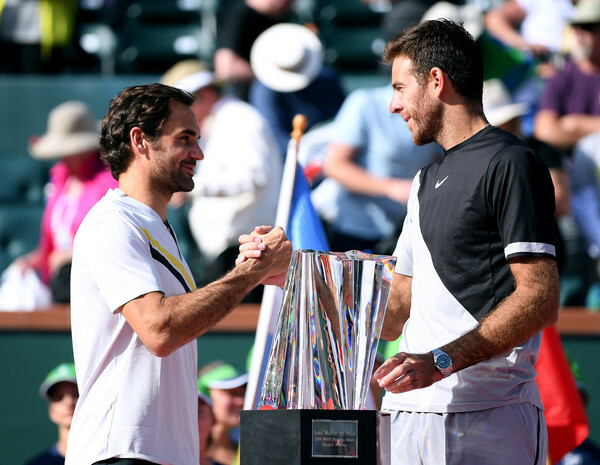 That all changed when the Tower of Tandil battled past Roger Federer in an epic final to win the BNP Paribas Open crown, saving three championship points to do it. Check out the full final recap here. Federer had managed to pull an epic comeback in the semifinals against Borna Coric but fell just short of doing it again as del Potro came up clutch in the third set of their final. The tournament was full of surprises, with only three of the top eight seeds reaching the quarterfinals. The biggest surprise was Borna Coric, who upset three seeded opponents, most notably world number nine Kevin Anderson in the quarterfinals, on his way to the first Masters 1000 semifinal of his career, where he came agonizingly close to upsetting Federer. 2017 NextGen Finals champion Hyeon Chung also made a breakthrough by reaching his first Masters 1000 quarterfinal, also losing to Federer. 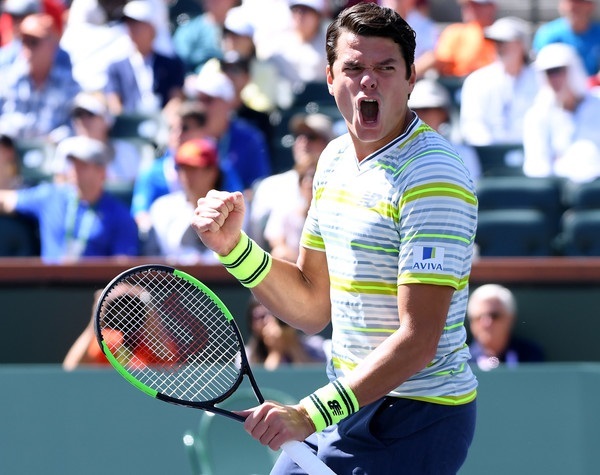 The tournament served as a major bounce-back for 2016 runner-up Milos Raonic, seeded 32nd at this year’s event, who won consecutive matches for the first time since August 2017 and reached his first semifinal since May 2017. He lost in the last four to del Potro After most of the major upsets occurred in week one, the biggest surprise came when 31st seed Philipp Kohlschreiber knocked off Australian Open runner-up and second seed Marin Cilic in straight sets in the third round. The former world number three’s run to the semifinals stopped a steady slide down the rankings, as he jumped 13 spots back up into the top 30. Because of injuries, Raonic, who had been a top-ten mainstay for the better part of the last few years, was even at risk of losing the top ranking within his own country but has put some space between himself and Denis Shapovalov and is now moving back towards the top 20. The other semifinalist, Borna Coric, also climbed 13 spots to match his career-high of 33rd in the world. By winning the title, Juan Martin del Potro climbed two spots up to number six, his highest ranking since February 2014. By failing to defend his semifinal points from 2017, Jack Sock fell out of the top ten down to number 11. Lucas Pouille was the beneficiary. Despite losing his opening match, the Frenchman climbed up to a new career-high ranking of number 10, his first time cracking the top 10 on the men’s tour. 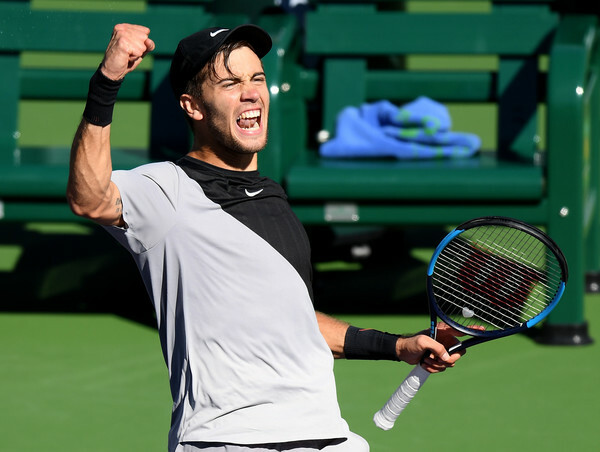 Other players who reached career-highs after Indian Wells include Diego Schwartzman (16), Adrian Mannarino (22), Hyeon Chung (23) and Filip Krajinovic (27). After winning the title in Indian Wells, Juan Martin del Potro climbs up four spots to number two in the race. Kevin Anderson also moved into safer waters. His quarterfinal showing helped him jump four spots up to number five. Diego Schwartzman and Kyle Edmund each dropped three spots but stayed inside the qualifying zone at seventh and eighth respectively. Grigor Dimitrov was not so lucky, falling one spot to just outside the top eight. The Indian Wells semi-finalists both had huge jumps. Coric climbed 73 spots in the race up to number 16 while Raonic rose an astounding 289 spots, although he is still fairly far back at number 26. Similar to two weeks ago, there will be half of an event being played this week with no titles on the line as the second half of the Sunshine Double will start on Wednesday. There will be little rest for the stars as the tour shifts from the west coast of the United States to the east coast for the second Masters 1000 event of the season, the Miami Open. A similar field to the one we saw in Indian Wells will descend on Crandon Park, led by defending champion Roger Federer. Seven of the top ten will be in action, with 24 of the top 30 looking to take advantage of a fairly open field. 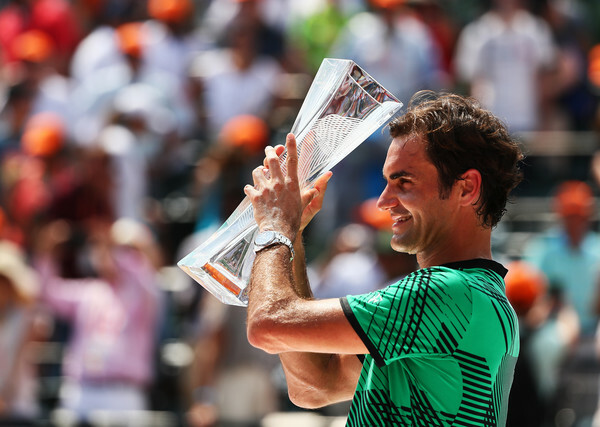 Federer, a three-time Miami champion, is one of two former champions in the draw. The other is the six-time champion, Novak Djokovic. The Serbian, who will be seeded ninth, is looking to break a tie with Andre Agassi for the most men’s singles titles in Miami. 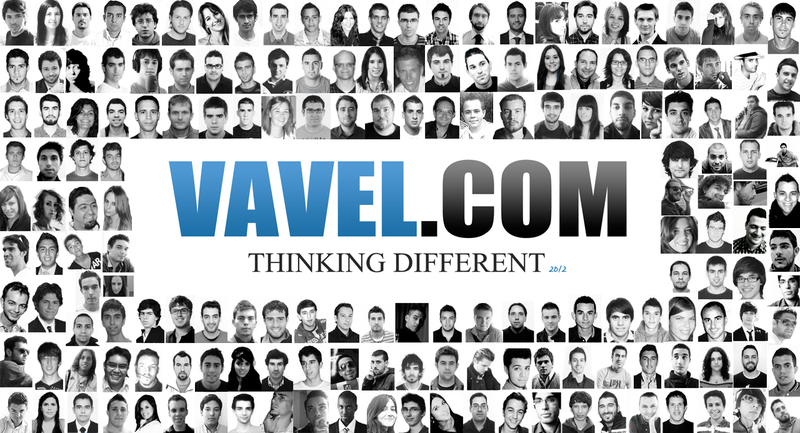 There are several big names missing the tournament. Notable absences include 2017 runner-up Rafael Nadal, world number six Dominic Thiem, top-ten debutant Lucas Pouille, three-time major champion Stan Wawrinka, two-time Masters 1000 winner Jo-Wilfried Tsonga, and two-time Miami champion Andy Murray.